The procedure of a Vasectomy Reversal with Micro-surgeon Dr. Friedman is set up to help you feel as comfortable as possible. We will first set up a consultation and medical examination for you. You can expect the office visit to take approximately 30 minutes. During this office visit, you and your partner will have the opportunity to ask as many questions as you need, to make the best decision for you and your family. Dr. Friedman performs many reversal vasectomies a week, and you will find that he is very well experienced- vasectomies and vasectomy reversals are his main specialty. You can expect your surgery to take about 2½ to 3 hours. The wonderful aspect of not having to undergo anesthesia- allows us to perform the micro-surgery in the comfort of our own office. Dr. Friedman uses local anesthesia (Novocaine)- No Needles! 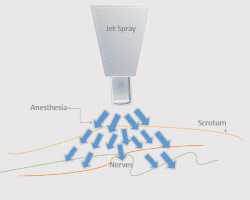 This is a jet spray technique that sprays the novocaine onto the area of surgery. The spray penetrates through the skin and numbs the nerves. You will be fully awake for the procedure. We will offer you medication to help you relax and be pain free. For your partner, we offer a comfortable waiting room with internet and television access. We are also attached to the hospital, where your partner can go to the cafeteria for food and refreshments. Once the medication has had a chance to work, the doctor will then carefully draw out the vas deferens with the use of a microscopic tool. Dr. Friedman does not use scalpels. This allows for far less complication, pain, and assists with better healing with far less bleeding. After exposing the obstructed vas deferens and removing the blockage without the use of a scalpel, we visualize with a microscope the fluid and sperms. A section of each cut end may be removed. The end closer to the testicles is cut until the fluid runs easily. The two ends are brought together using the operating microscope, in preparation for attachment. 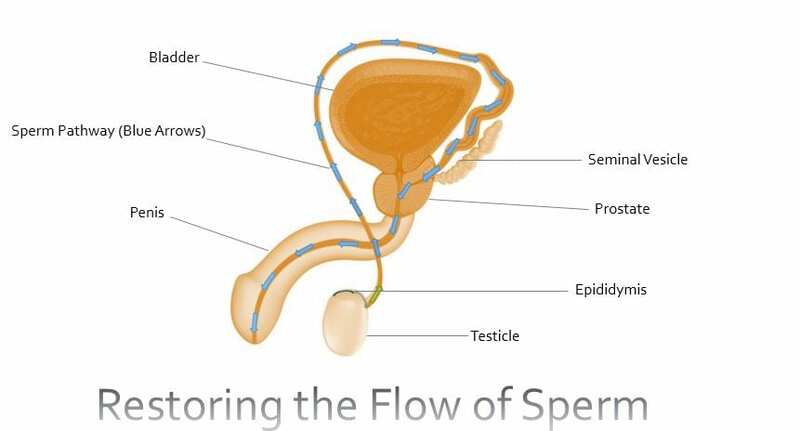 A microscope is used to verify the flow of the sperm. If needed, the the vas may be attached directly to the epididymis- the tissue behind the testicle. Dr. Friedman does not charge extra associated fees should your vas deferens be blocked by scarring tissue and the surgery takes longer than he expects. Very fine sutures are utilized to complete a meticulous attachment of the ends of the tubes. A two-layer connection is carefully employed to complete this procedure. When both ends are successfully connected, Dr. Friedman will close up the scrotum with tiny sutures.